Sometimes we have to find creative methods to get our kids to read. The same goes for getting them to read the Bible. 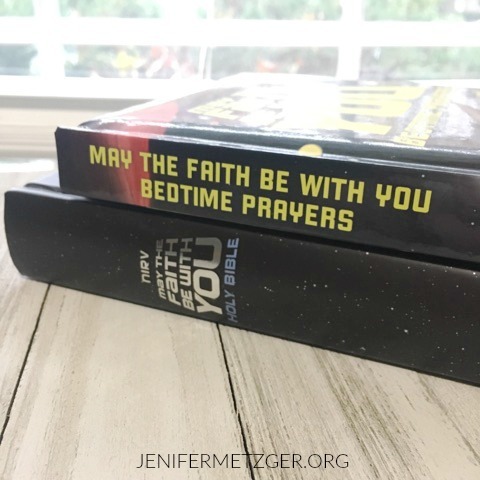 Zonderkidz knows this and has an incredible Bible for your Star Wars loving kiddo. 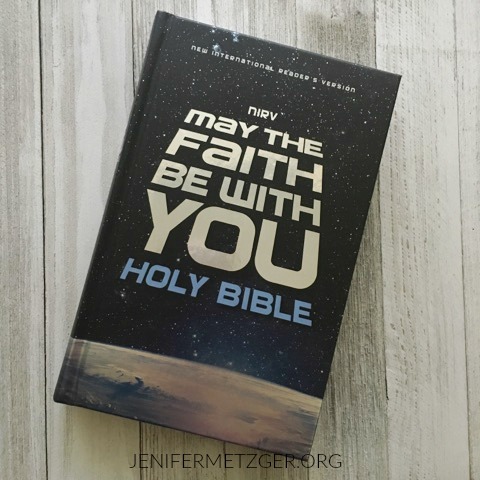 This May the Faith Be With You Holy Bible has a Star Wars theme that kids will love. Among the Scriptures you will find colorful pages that enhance the Bible reading experience. Your child will read "What is...sin, repentance, grace, forgiveness, hell, and heaven." They will also read the ABCs of Christianity, learn what the Trinity is and so much more. In addition to the May the Faith Be With You Holy Bible, there is a devotional to accompany the Bible. 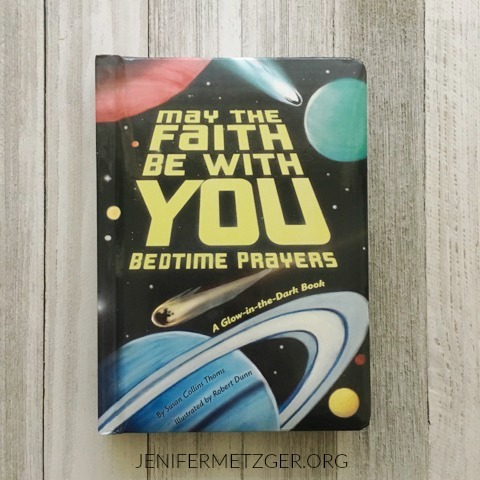 The May the Faith Be With You Bedtime Prayers is a board book of bedtime prayers. But what makes this the coolest bedtime prayer book is the fact that it is glow in the dark! Your child can read and look at it in the darkness of the room! If you have a Star Wars fan or even a child who just loves cool things, this Bible and book is the perfect gift. Pick them up for a Christmas gift or just to help your child get into the Word.